This past week, while visiting the Orlando area, I had the opportunity to visit the Ritz-Carlton Spa. What was very special about the experience was having the chance to bring somebody with me, my husband, David. What I found is men enjoy the experience of a spa just as much, if not more than woman do. The Spa: The Ritz-Carlton Spa, Orlando, Grande Lakes is a tri-level haven, located on the expansive acreage of the Grande Lakes property in Orlando, Florida. The perfect retreat for both men and women alike, the property houses both the Ritz-Carlton and the JW Marriott. It was clear to me that the Ritz-Carlton Spa Orlando Grande Lakes is everything you could ask for in a spa. The first floor of the stand alone spa campus houses a fitness room, with a thorough selection of nautilus and cardiovascular equipment, in addition to weights, to keep your body in tip-top shape. Spa guests will also find the Spa Vitale Café, offering up a menu of everything from smoothies, fresh fruit juices, salads, wraps, and even a sirloin burger to choose from. On the second floor, there are separate facilities that cater to men and women, privately and exclusively. Men can enjoy a big screen TV while they wait for their service. Women get ready in their own secluded area as well. Then on the third floor, there are treatment rooms and a scrub bar where spa guests can customize their own personalized exfoliating process. Plus there is a large co-ed lounge where men and women can join together to relax before or after their treatment. Treatment: We both experienced the East Indian Lime Scalp and Body Treatment. It’s a signature treatment for the spa, where you get an exotic, full body massage that uses a unique blend of avocado, macadamia, and hazelnut oils blended with wild lime blossom, ginger, and sandalwood. The oil is warmed, and for around 20 minutes, it’s applied to the scalp and hairline. Moving down to the neck, shoulders, arms and legs, the same oil is thoroughly massaged into the body. Hot packs and use of warmed towels enhance the blissful experience. Her Experience: I especially enjoyed the warm oil being poured along my hairline and being worked into my long hair and scalp. The treatment at 80 minutes really allowed me to thoroughly relax and recharge my tired, achy muscles during the body massage. Massage Therapist Michelle, took her time to work on all my body parts, including the backs of my arms. She varied pressures throughout the massage based on the body parts and my concern areas. She paid special consideration to my feet and neck area based upon my initial consultation at the beginning of the session, which was appreciated. The finale of the treatment was a hot towel to the back and feet along with an application of yoga balm to release muscle tension. This spa visit was completely therapeutic for me. My body was full of aches and pains from walking miles the day before and after the massage I felt like that tension has gently been released from my muscles. And as an added bonus, the oil left my hair looking glossy and rich as it acted as a deep conditioning treatment. Salad wrap. As usual the service was impeccable. Then off for a dip in the infinity edge pool, which was a serene escape from the craziness of the theme parks visited earlier in the week. The spa pool, made for a heavenly place to enjoy the sun and has a stunning view of vast green vistas and lakes in the distance. Sun drenched and thirsty, we sipped fresh smoothies and were ready for even more recharge. We decided to spend some down time in the sauna and steam room of our respective private locker rooms next, before rinsing off, getting dressed, and heading out. We wished our spa day did not have to come to an end and look forward to future visits to the irresistible Ritz-Carlton Spa Orlando. The view, the service, and the décor, was nothing less than heavenly from both a man and a woman’s point of view. Visit their website to learn more. To celebrate my birthday I headed over to the SiSpa at the Marriott Palm Beach Singer Island resort to enjoy their signature massage treatment called Voyage of the Si. Upon entering the Sargasso treatment suite named after the Mediterranean Sea, Shaundra my world class, Massage Therapist introduced me to a variety of Zents oils to choose from. Out of a variety of choices, I decided on Mandarin hoping its citrus scent would uplift and invigorate my tired body. The massage started face up and Shaundra used the Zents Scrub scented with Mandarin oil, my scent of choice. The scrub is a mixture of sugar, salt and shea butter so that it exfoliates and moisturizes the skin at the same time. She gently applied the scrub to my hands and fingers and then feet and toes in massaging gentle motion. Using heated towels the scrub was then gently removed. Next, Shaundra worked on massaging the arms, legs and shoulders using long soothing swedish massage strokes and the Zents Mandarin scented oil. Shaundra then asked me to turn facing down. Now at another level of consciousness, I flipped over exposing my back and the massage continued with hot massage stones placed gently on each of my hands and feet after they were carefully massaged. Shaundra then wrapped my hands and feet in towels and massaged my back, shoulders, and legs. With the Voyage of the Si massage no part of your body will feel neglected. From your scalp and head down to your shoulders, to your back all the way down to your toes, the massage therapist will lead you on the ultimate journey to blissful relaxation. Every minute of the 110 minutes feels like heaven. The combination of an immaculate, modernistic spa environment, top notch massage therapist and superb products makes for a first class, luxury experience all the way! SiSpa guests can enjoy a wide range of first class resort amenities such as an outdoor jacuzzi, state of the art fitness room, infinity pool, Ocean Grille with gorgeous ocean views and patio seating and of course one of the most gorgeous beaches on Singer Island. In addition there are private relaxation rooms for men and for women, a Vichy shower, steam room and warm tile loungers that guests can enjoy before or after your treatment. To learn more about the Voyage of the Si or to book an appointment at SiSpa call 561-340-1755. The Voyage of the Si Massage is on special during Spafinder Wellness Week from March 21st through March 27th for just $107 (half off the retail price of $215). Please note: that does not include the 20% gratuity. Plus don’t forget to take advantage of all the first class amenities that the resort has to offer. After years of working in a holistic medical environment, Lisa Hunter, Facial Specialist and Licensed Esthetician is now offering her services in the comfort and privacy of your very own home. The best news about this is you can now receive her services at a fraction of the cost. After years of experience and experimentation with her own skin she has perfected a skincare treatment that virtually combines three services in one for optimum results in just five steps. 1) Step One- Lisa will review your skin care history and concerns before deciding on a treatment plan that will work best to suit your individual needs. 2) Step Two- Lisa cleanses and tones the skin on the face and neck area using Lisa’s preference of the finest line of holistic products. This phase dissolves dirt and oil. 3) Step Three -A Resurfacing Facial Treatment is performed next. This is a non-invasive procedure which increases blood flow and encourages new cell growth while skin becomes noticeably smoother, firmer, and more vibrant immediately. The tool Lisa uses lightly “sands” away the top layer of your skin so that the products she uses on you during the treatment in addition to your products at home will absorb into the skin. This will rid your complexion of dullness. 4) Step Four-A very light anti-aging chemical peel which involves the application of a solution to the entire face. Your skin will feel a slight tingle effect or sting and days later you will notice the skin’s top layers will begin to peel revealing a layer of brand new fresh skin beneath. 5) Step Five- Lisa thoroughly rehydrates your face and neck area with a hydrating mask that she allows to permeate skin for about ten minutes. Followed by a serum that she gently massages into the skin and lastly a sunscreen. Lisa uses the same winning combination of treatments on her own skin. She explained to me that she took a personal interest in skin care because when she was pregnant she suffered from severe and unsightly Melasma, a common condition where dark brown spots or patches appear on the face. She spent lots of time researching how to eliminate Melasma and now wants to help other women or men with their skincare concerns by sharing her findings with you. Treatments like this at local spas cost double and triple the cost per treatment. Lisa’s winning combination comes to you at a mere fraction of the costs it normally would. To maintain results or to rid your skin of dark spots, fine lines, wrinkles, Melasma or other skincare issues regular treatments of at least one per month are highly recommended. Anti-aging peels like the one that Lisa administers may cause slight dryness or peeling 3-4 days after your treatment to reveal rejuvenated and refreshed skin beneath. Do not schedule a service like this the week of a special event or banquet. On the other hand, want to look your absolute best for that special event or occassion. Just let Lisa know and she will rejuvenate and refresh your skin, help with fine lines, sun damage, and dull/dry complexion. The Spa at PGA National Resort recently added a variety of services to their spa menu featuring the Phytomer line of products. According to the Spa at PGA’s Aesthetician, Gulnur, natural resources from the Mediterranean Sea like algae and seaweed are used to create these top of the line marine based products. Gulnur enthusiastically explained that the various kinds of seaweed and algae offer up some stupendous results like skin rejuvenation, firming, tightening and softening of the skin in addition to detoxification as well. I had the pleasure of enjoying a treatment administered by an Aesthetician named Gulnur called The Youth Revelation Facial with Back Treatment. Gulnur spoke very passionately about the Phytomer product line and her passion for skincare really shined through. She was truly a pro at what she does. A back treatment to start – a seaweed mixture was applied to a plastic layer that was on the massage bed. Then a layer of gauze between me and the mixture. This mixture behind my back was heated and had a bubbling sensation down my spine like nothing I have experienced before. This sensation lasted for at least the first 20 minutes of my facial. Double the cleansing steps: Gulnur manually massaged my face and decollete with a milky cleanser first. Then she used the Clarisonic cleansing brush system to apply a gel cleanser giving me a pleasant facial massage with the brush. Double the exfoliating treatment applications – Gulnur used a resurfacing exfoliant that has 3 different sized grains in it to exfoliate the different layers of dry skin from largest to smallest. Then she used an Enzymatic Exfoliant that is made with Red Algae. Red Algae increases circulation in the face, leaving me with a radiant appearance. Double the masks – Gulnur gently painted on a rebalancing Self Heating Mask made from freeze dried Laminaria, a brown seaweed rich in vitamins. It was applied to gauze on my face and then similiar to a body wrap a layer of foil was applied to retain heat. This was meant to detoxify the skin while also hydrating at the same time. The second mask was a smoothing mask which offers you an instant “face lift” since it actual plasticizes on the face. Gulnur was able to remove this mask all in one lift! Double the results– this facial not only cleanses the skin thoroughly but it helps with cell regeneration and detoxification of the skin at the same time. While the benefits of this facial offer instant gratification leaving you with a radiant,smooth, lifted and detoxified complexion extractions are not part of this facial. There is a slightly unpleasant odor to this treatment as the products are all directly from the sea they also smell like they are directly from the sea. The odor was slightly fishy but absolutely bearable once you see the results. Plus the top notch Aestheticians do everything to make the experience comfortable and enjoyable for you during your treatment. An exciting benefit for all Spa at PGA National guests is access to the Waters of the World where you can enjoy three different pools and an infinity style outdoor jacuzzi before or after your treatment. Or sunbathe on a comfy lounge chair while sipping on smoothies and dining on healthy spa cuisine. To learn more about the Phytomer services now available at the Spa at PGA National Resort or to take an exotic dip in the Waters of the World call 800-533-9397 to book an appointment. After a hectic work week for both myself and my husband, we both could not think of a better way to enjoy our day off but to treat ourselves to a Couples Retreat in honor of this upcoming Valentine’s Day. The day could not have come sooner for our appointment and every minute of it was as heavenly as it was anticipated to be. Today was our day to enjoy the Couple’s Retreat Valentine’s Day special at the SiSpa located at the Palm Beach Marriott Singer Island Beach Resort. The Couple’s Retreat takes place in the cozy, luxuriously modern couple’s treatment suite equipped with a sitting area and two massage beds side-by-side. To start, our his and hers world class licensed massage therapists invited us to choose from a variety of Zents brand aromatherapy body oils. I chose SUN which is warm and sensuous scent with hints of vanilla, sweet orange, grapefruit and sandlewood. My husband was looking for something more invigorating and chose OOLONG with hints of lavender, lime blossom and ylang ylang scents. After our selections were made Monika and Nikolai, our designated Massage Therapists team left the room to give us some privacy while disrobing. The ambience of the room was perfect. Candelight, warm beds, low lighting and subtle relaxing music in the distance. Nikolai and Monika asked us our massage preferences beforehand. Time went by quickly while we each relished in blissful swedish massages from head-to-toe. The finale to our massages was a chocolate exfoliating treatment for both the hands and then the feet using a warm chocolate exfoliating scrub. The scrub was slowly and gently massaged on and then removed with a warm, soft cloth leaving our hands and feet soft and smelling luscious. While the scent of chocolate lingered, and just when I thought it does not get better than this, a tray of chocolate- covered strawberries and champagne for two was presented to us in the sitting area. Nikolai and Monika encouraged us to enjoy some alone time now and left the room while David and I celebrated with a champagne toast. We topped off our SiSpa experience with a kiss while noshing on irresistible chocolate-covered strawberries. David says, ” the Couple Retreat is definitely pure pleasure that brings couples closer together” and I would definitely have to agree. To learn more about the Valentine’s Day Couples Retreat available now through February or to book an appointment at SiSpa call 561.340-1755.The Valentine’s Day Couple’s Retreat spa package is $250 and that is inclusive of the 20% gratuity and access to all the resort amenities. Be sure to mention Lady Spa Spa to take advantage of special pricing. As 2010 comes to an end and I ring in the new year, I would like to reminisce about all the amazing discoveries and experiences Lady Spa Spa was lucky enough to enjoy! Cheers to an amazing 2010 and a spa-tacular 2011! 1) Ritz-Carlton Key Biscayne Unity Massage– a unique experience for two where you and your partner can learn personally from a massage expert. Me and my husband loved this treatment! A perfect bonding experience for two! Appropriate for honeymooners, as an amazing Valentine’s Day gift or for two lovers that can’t get enough of each other. I fell in love with it and you will too! 2) Eau Spa, Ritz-Carlton Palm Beach – Looking for a dreamy spa experience customized just for you? The Eau Spa is where it is at! Between the Self Centered Garden, The Eau Zone Relaxation Room, the Bath Lounge, the whimsical decor, the mini chocolate cupcakes, the Scrub Bar and the Moonlight parties, need I say more? It is a fantasy land for spa lovers like me. 3) Si Spa at The Marriott Palm Beach Singer Island Resort – There is no place like here! Eat lunch poolside with a beach view, hang out at the lagoon style pool and then get pampered at Si Spa with high quality treatments using top notch products. This is a resort getaway retreat for the day for a reasonable cost that averages about $110 per hour long treatment. You just cannot beat it! 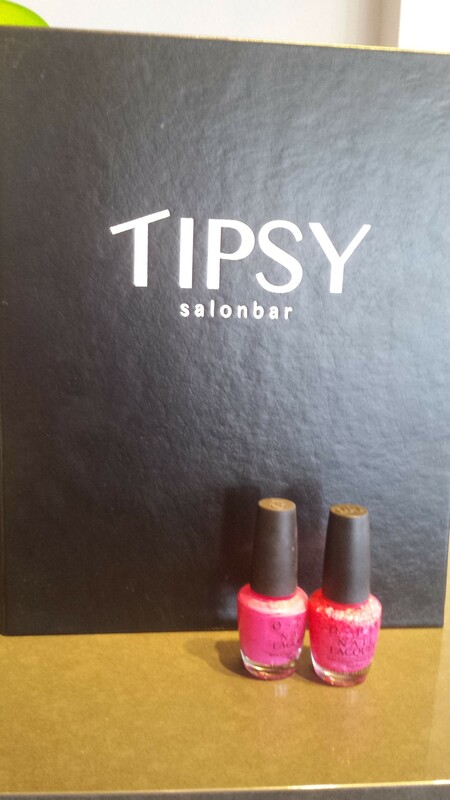 4) Tipsy’s Spa and Salon – Looking for a chance to catch up with the girls but need to fit in some beauty time too? No need to choose. 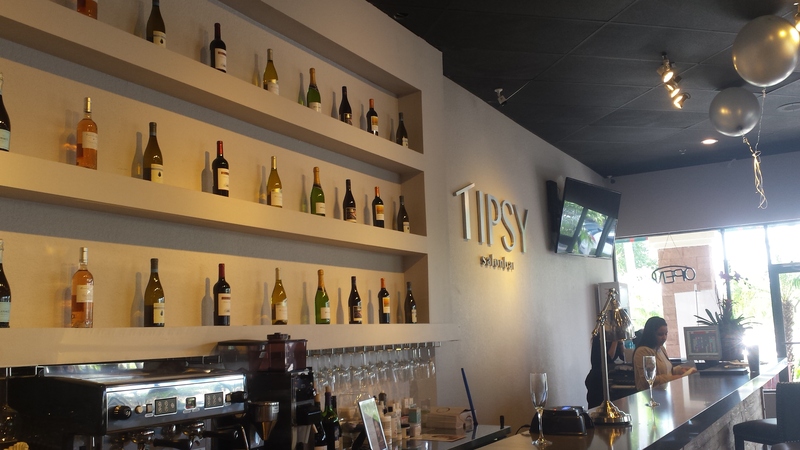 Head to Tipsy’s Spa and Salon to enjoy cocktails and a spa service. Only this spa doubles a as a full bar and lounge with disco style music and large screen televisons that deck the walls. It is an experience you have to try at least once amongst friends. 5) The Lane Spa Signature Facial and Signature Massage – Both signature treatments at the Lane Spa make my list! I think honestly I can say in all these years I had my best facial and best massage there to date! 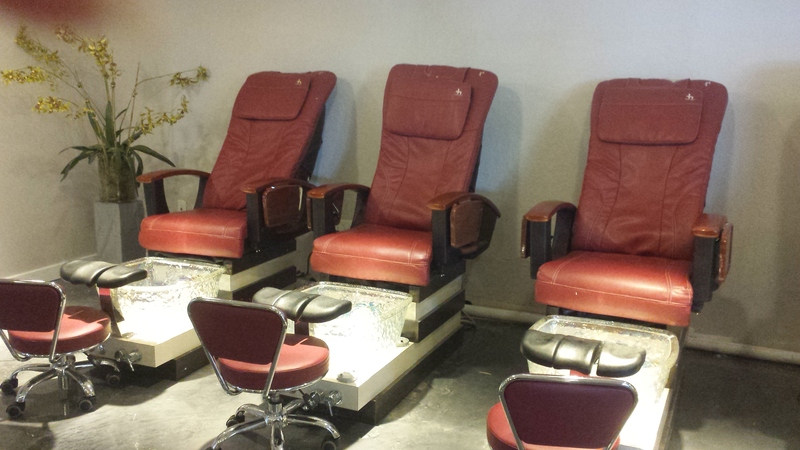 The cozy spa nestled in the heart of Palm Beach Gardens offers up every beauty service imagineable and to perfection. If you need a top of the line facial or massage, without all the extras, head to the Lane Spa and get what you paid for. They have an amazing experienced staff and friendly environment. You will be in good hands at the Lane Spa. 6) The Spa at the Four Seasons Resort Palm Beach – The service is impeccable at the Spa at the Four Seasons Resort. You will be treated like royalty when you visit this spa. The spa is like a marble palace. Everything is white marble from the floors to the walls. It is immaculate and the service there is five star all the way. Lady Spa Spa looks forward to an amazing new year in 2011! And remember, you only live once and you deserve to be pampered! Make sure your resolution in 2011 is to treat yourself to spa treatments next year. They are good for the mind, body and spirit!